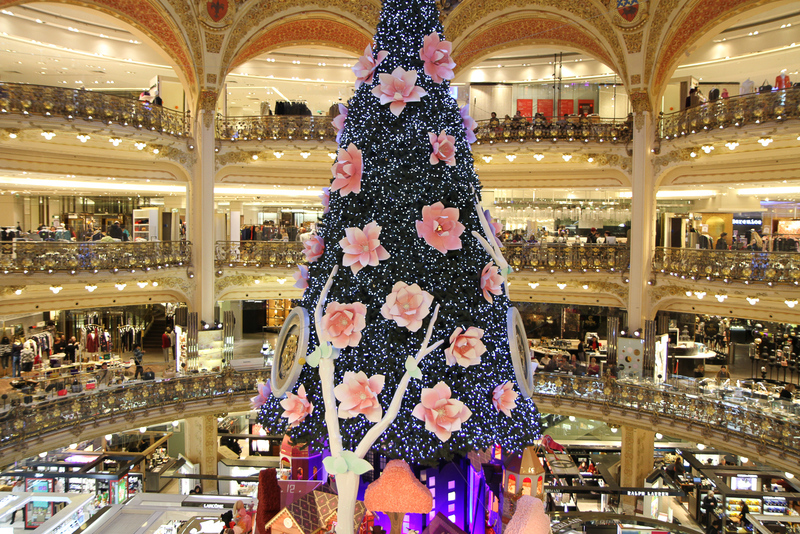 Paris is enchanting any time of year but particularly so around Christmas. There is something magical about seeing the city come to life with festive cheer and light up under the holiday season glow. 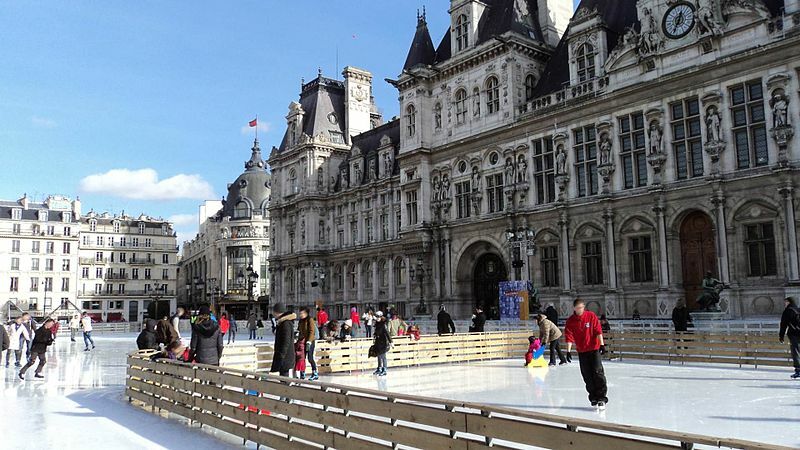 With Christmas just around the corner, we thought it time to share the Top 10 Christmas Activities in Paris with you. This luxury department store is the best place to come Christmas shopping, not only because you can buy every one of your Christmas gifts under one roof but also because of the festive decorations. The enormous Christmas tree which hangs from the ceiling always take centre stage and is a sight to behold. This year the 27 meter high tree will hang upside down and will be decorated in rich colours with thousands of brightly coloured jewels. The window displays at Printemps are a yearly ritual. 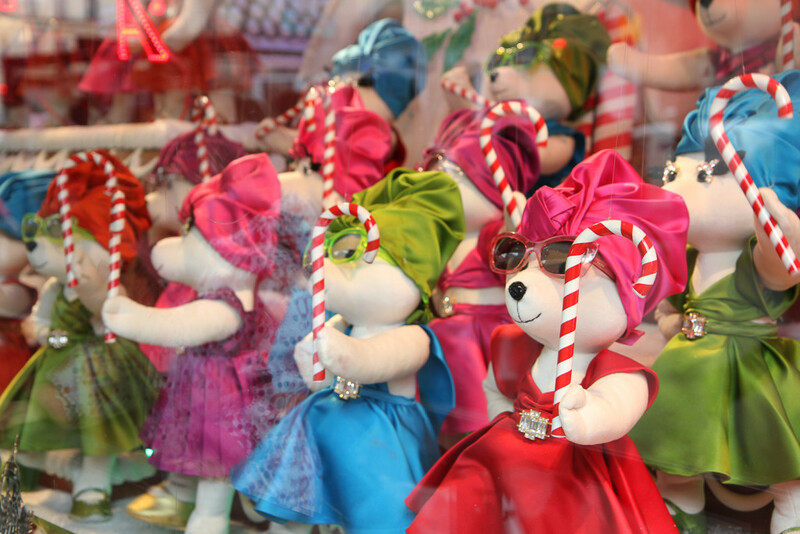 Every year crowds gather to watch the grand launch of the Christmas windows where a celebrity is always picked to present them. 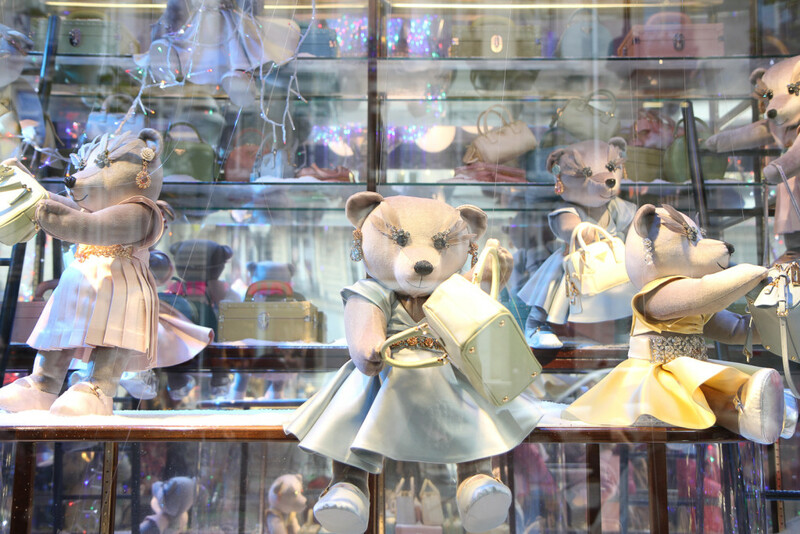 A favourite year was 2013 when the windows came alive with dancing Prada bears which mesmerized children and adults alike. This year Burberry is taking over the windows recounting a story of a little boy who leaves London to celebrate Christmas in Paris. Of all the Christmas markets around the city, the one which takes place along the Champs-Eylsées is probably the most famous. This famous avenue lights up with stands selling homemade chocolates, soaps and other such trinkets. 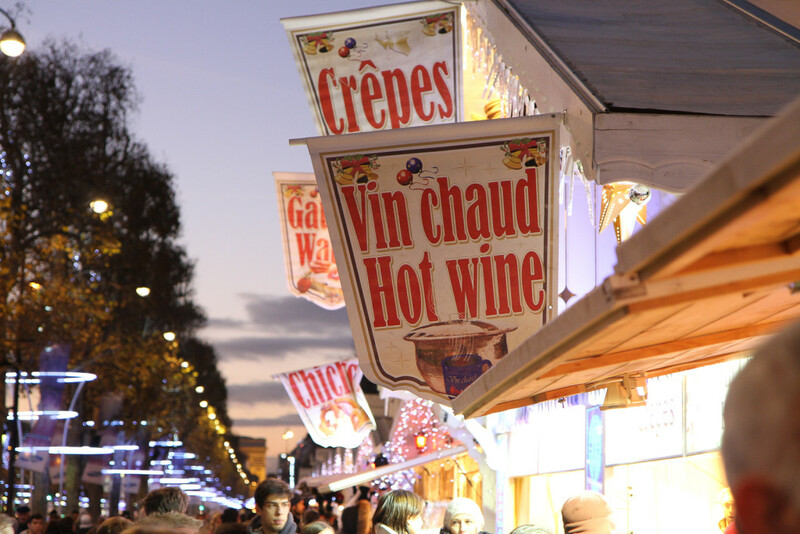 Perusing the market whilst sipping on mulled wine is a very fun way to get into the festive spirit. Christmas in Paris simply isn’t Christmas until you’ve had your first hot chocolate of the year. One of the joys of winter is curling up with a luxuriously rich and thick hot chocolate in the tearoom at Angelina and feeling yourself thaw out. 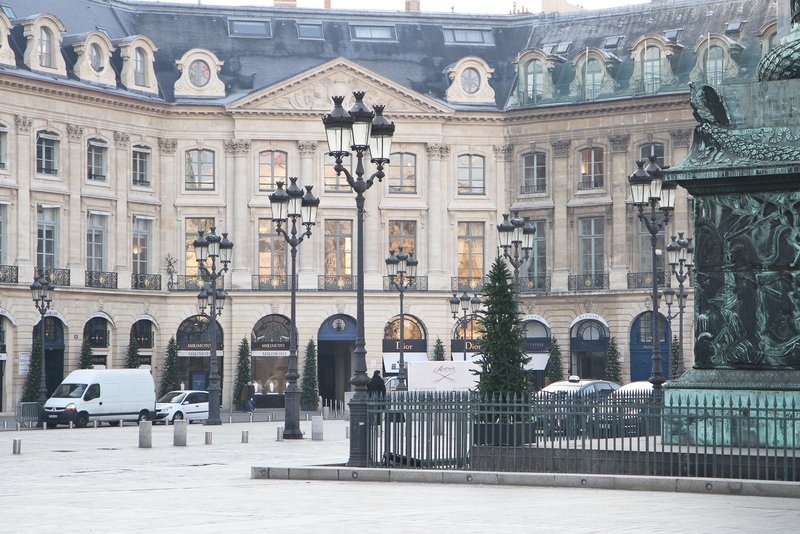 Place Vendôme is an enchanting square in Paris any time of year. 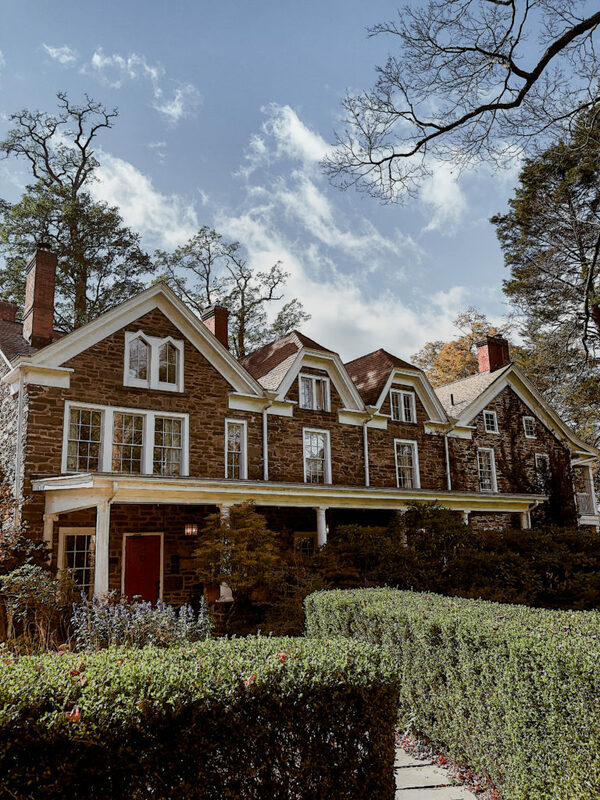 Home to the Ritz hotel and plenty of high-end jewelry stores, it’s a beautiful spot for a stroll. Come the holiday season the architecturally-rich square looks even more beautiful with Christmas trees lining the shop fronts and fairy lights hanging from above. At this time of year all of the top pastry shops in Paris offer a limited edition Christmas menu. 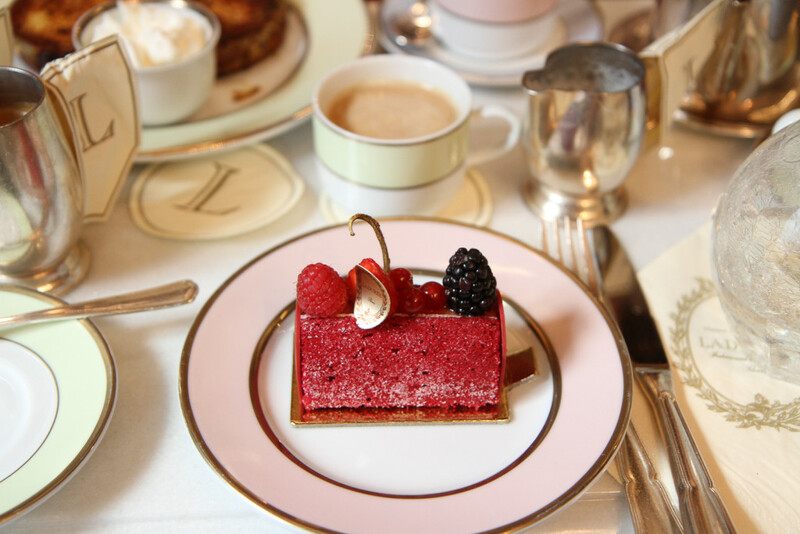 The Yule logs at Ladurée come in a variety of festive flavours and are as delicious as they are pretty. A Christmas-inspired pastry pause is good way to whet your appetite for all the festive food to come. Christmas is the time of year to treat yourself a little more than you might throughout the rest of year. 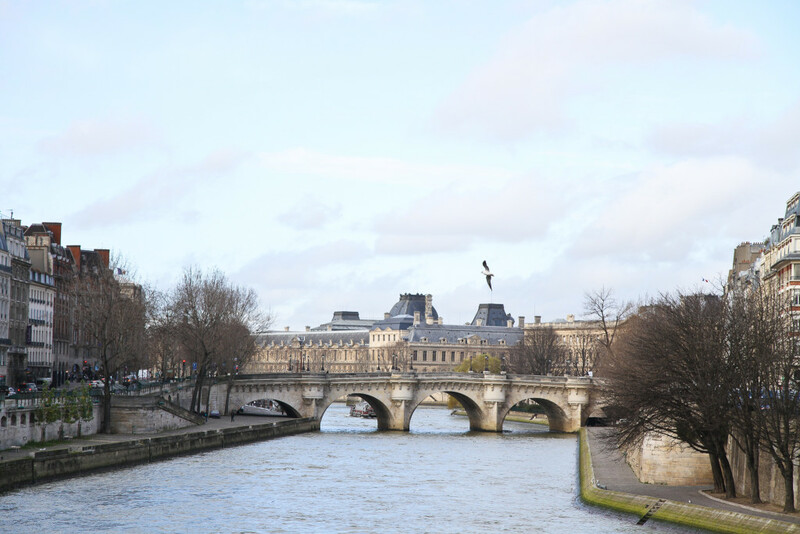 Dining along the river Seine is a wonderful experience, particularly so at Christmas when the menu is full of festive dishes and the atmosphere is cheerier than any other time of year. The only thing better than passing by all of Paris’ monuments is seeing them decorated with sparkling fairy lights. A great activity is to simply walk around the city and take in the atmosphere of the holiday season in Paris and don’t forget to look up at all the magical Christmas lights around you. Amazing place to welcome the festival of Christmas! Paris itself is so enticing and attractive and the beauty of the place during the Christmas festive is so fascinating. 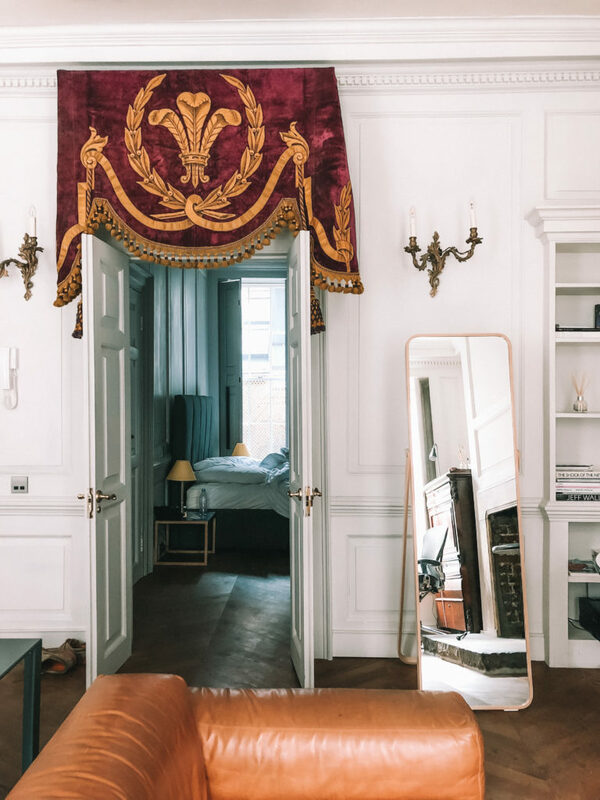 Thanks for sharing great tips that will be really helpful to the one’s who are planning a trip to Paris for the festival. This post makes me feel so festive! I’m so excited for the Christmas season. 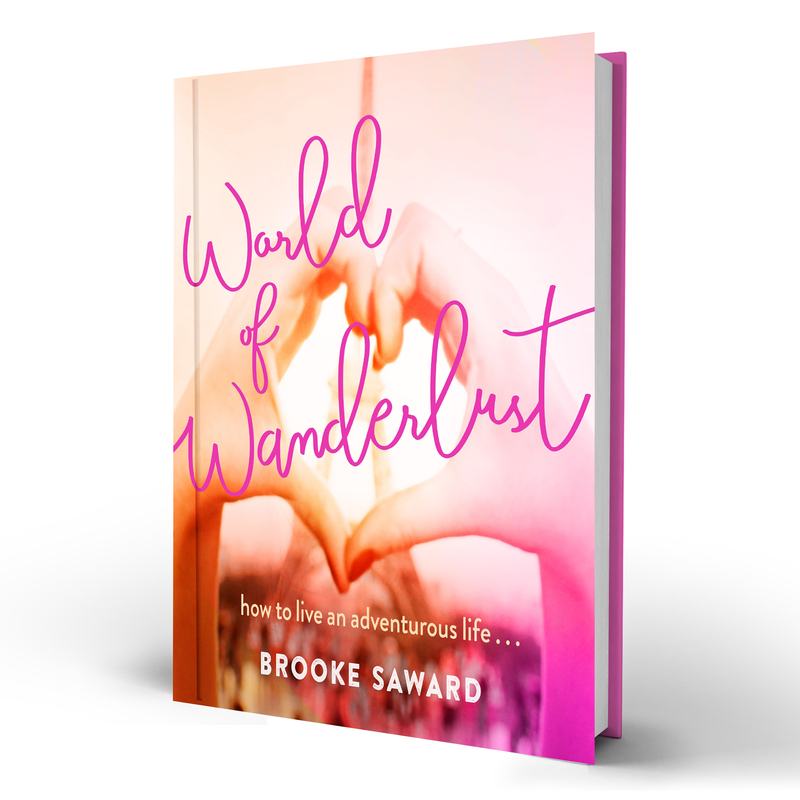 Thanks for putting this list together, it’s such a unique idea to write about! Paris looks like a fairytale city for Christmas! I really enjoy visiting European capitals during the Christmas holidays, they look like completely different places with all the decorations and that Christmas spirit. Paris and Vienna are my favorites when it comes to winter holidays, and this year I’m heading to Prague. Can’t wait! 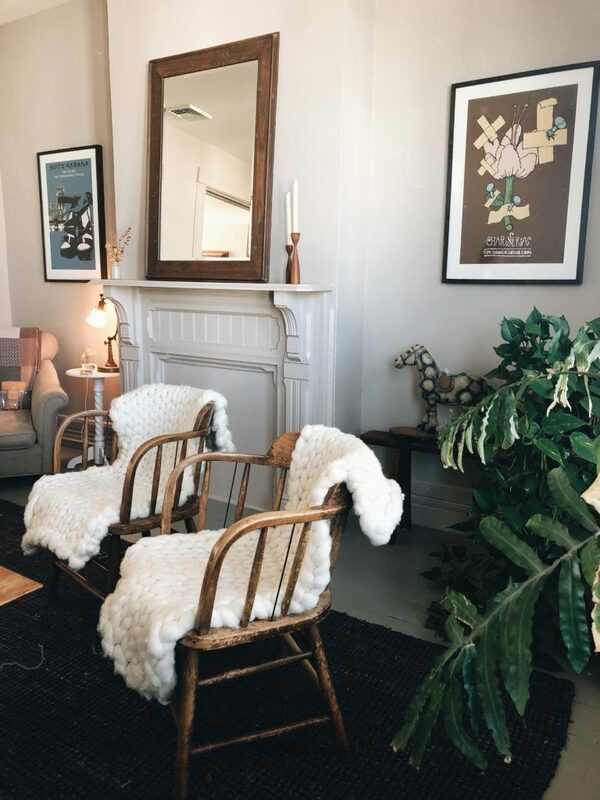 Dreamy post! I love your tips. Galeries Lafayette and markets are always good idea, but after reading this I’m especially tempted by ice skating. It looks like a fairy tale! Christmas in Paris sounds like a dream! Definitely bookmarking this, thanks for sharing. 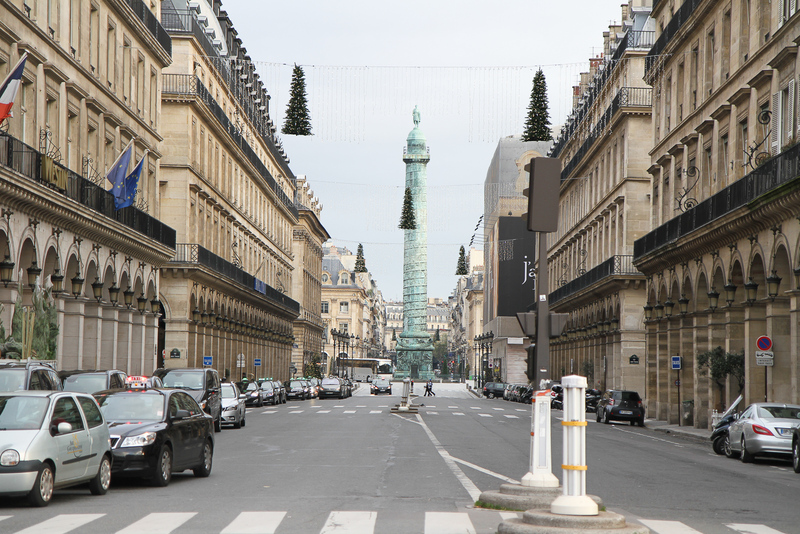 Hopefully, Paris can and will be festive as usually at this time of year! A year ago I was in Paris with my boyfriend just before Christmas. I’m so glad I went, Paris is the most beautiful city I’ve ever been to! Id recommend going up the eiffel tower at night, as it was so magical around christmas time, with mulled wine or hot chocolates being sold and a big christmas tree and ice rink on one of the floors. It was AMAZING. Paris is really very festive during Xmas. But may be, this year there will be more security. Yes pleases to each of those! I’m planing lots of things upcoming this Christmas. Exept the concert and the dinner cruise, I do the exact same thing each year Paris. And it still looks stunning ! Really good idea ! I’m looking forward for your next article, your job is amazing.